This was to be a critical session for the Americans if they were to have any hope of retaining the Ryder Cup. But it was to end honours even for the session, leaving the US with a Medinah like mountain to climb for the US as Europe go into the final day 10-6. Despite this being the fourth session, they still don’t seem to have settled into the course, and they have really struggled to keep it on the short stuff, which is critical on this course, where the rough is truly penal. Henrik Stenson and Justin Rose were first up in the Saturday afternoon foursomes, taking on a new pairing for Jim Furyk with Dustin Johnson teeing it up with Brooks Koepka. They lost the first, but bounced back, winning the fourth, eigth and tenth to go two up. But they lost the 12th to go back to one up, omly for Justin Rose to hole a critical putt on the 13th to go back to two up in this pivotal match. Stenson made a critical putt on the 16th for a half, after the US had got one back on the 16th. 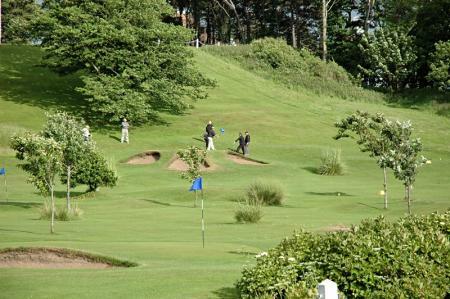 So they took a vital one point lead into the 17th hole, in what was proving a pivotal match. 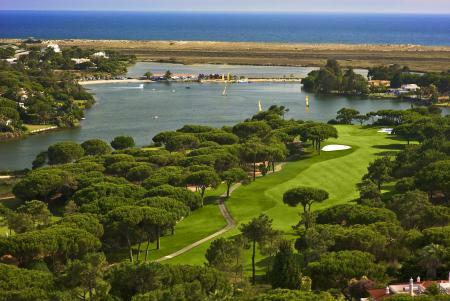 And with a fantastic putt from Justin Rose they won 2&1 and didn't need to take the match up the 18th. 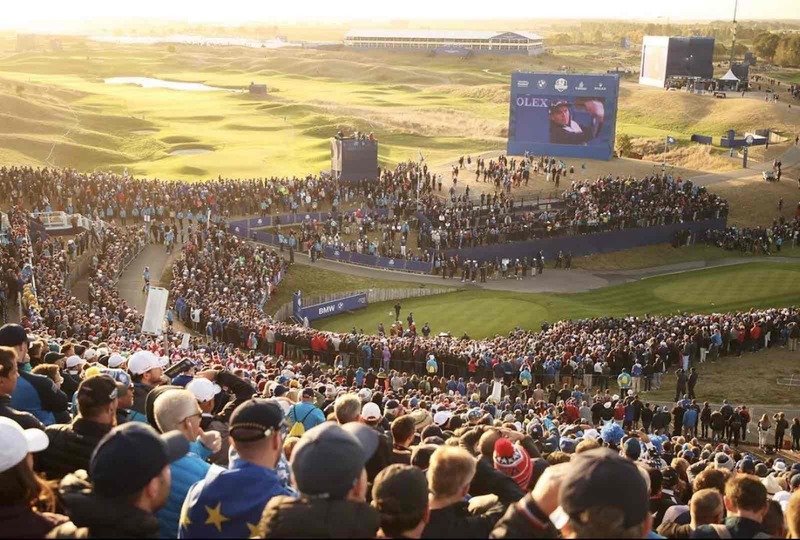 A VITAL point for Team Europe, and a massive peformance from Rose and Stenson. Next on the tee was Sergio Garcia and another new partner with Alex Noren. They were up against the unchanged pairing of Bubba Watson and Webb Simpson. 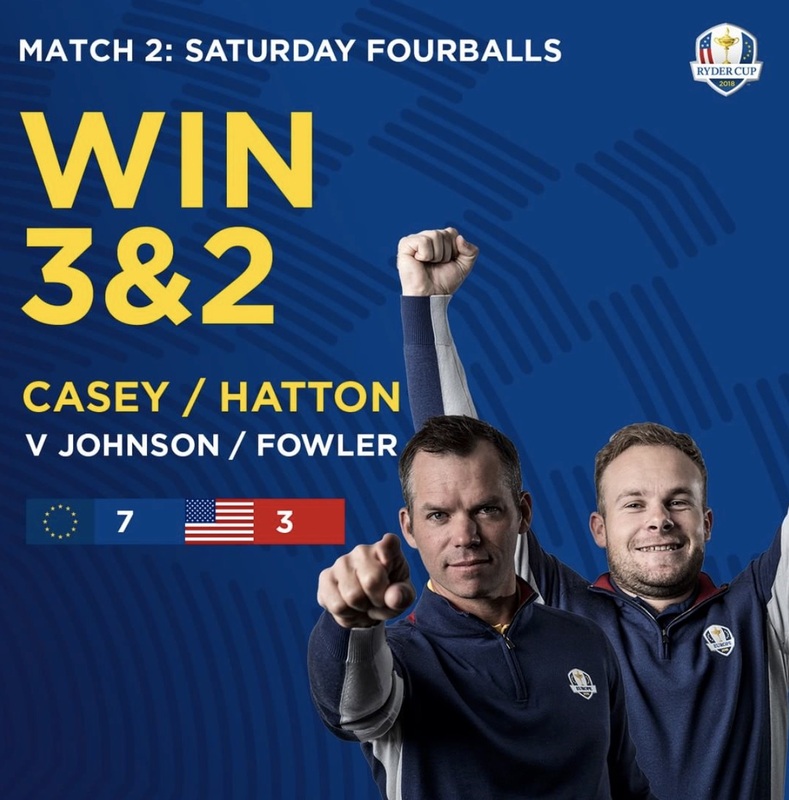 There was a bizarre incident at the third, with both teams claiming a half with triple bogies, which must be a first in Ryder Cup history. The Americans were quickly two up through four. This game was only going one way, and Bubba and Webb were four up through eight. In the end the US won comfortably 3&2. The third pairing for the afternoon foursomes was Francesco Molinari partnered once again with Tommy Fleetwood. This time they faced Tiger Woods and Bryson DeChambeau. 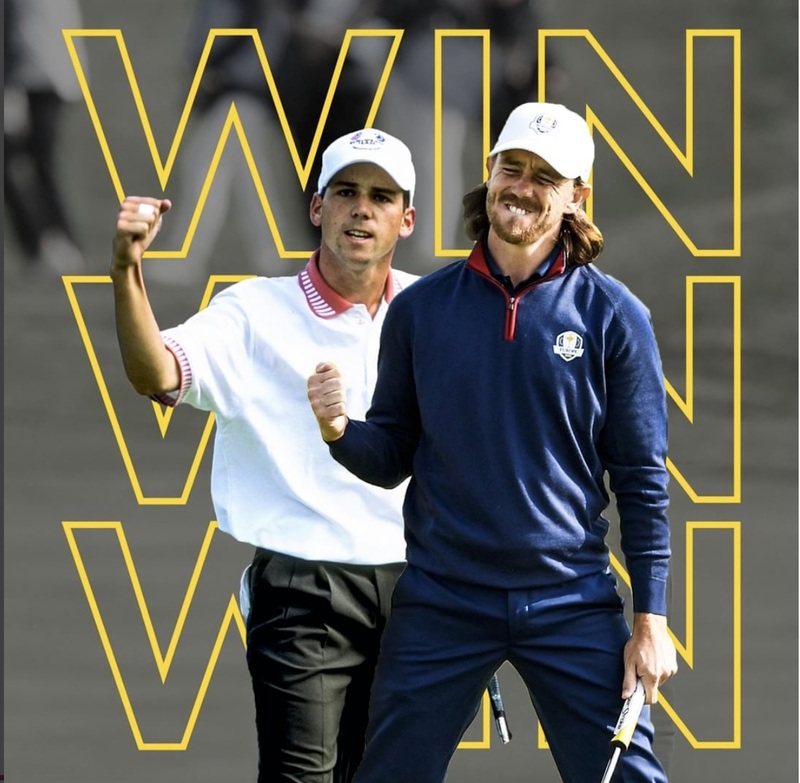 Tommy Fleetwood joins Sergio Garcia as the only European rookie to win in each of the first three sessions of their debut. The question this afternoon was would they be able to claim four points from four matches? The European’s were quickly two up through 3, putting more blue on the leaderboard. They won the sixth to go three shots clear, and looked to be cruising, winning again on the eigth to take total control of this game. Then another birdie on the 9th, and they were five up at the turn. But birdies at the 10th and the 11th saw Woods and DeChambeau pull the deficit back to 3, before Fleetwood and Molinari pulled it back to 4 up on the 12th. A clutch putt from Tommy Fleetwoof on the 13th, and they were going into the 14th with their four shot lead intact. And with a biride on the 14th their work was done, and they won 5&4. The final pairing saw Ian Poulter reunited with Rory McIlroy to take on the combined might of Justin Thomas and Jordan Spieth, in what has become America’s only really stable partnership outside of Bubba Watson and Webb Simpson. Poulter and McIlroy got off to a fast start, and were two up through two to stun the Americans. This is a partnership which really seems to be working, as Poulter has really lifted Rory with his pure fighting spirit. But they dropped back to one up when Rory’s double bogey putt failed to drop, and then dropped back again on the fifth, to go to the sixth all-square. He was totally fired up on the third, and may have lost a little bit of focus. So from being two up after two, McIlroy and Poulter now found themselves two down at the eigth, and really needing to find something. And find it they did on the 9th, when they escaped with a half when Justin Thomas missed a three footer to make the turn just two behind. But as they headed down the 15th the US were dormie four, with Poulter holing a critical putt to keep the game alive - just. And it wasn't over yet, as Poulter forced Justin to putt on the 15th to win the match outright for a vital point that gives them a little hope for tomororw.